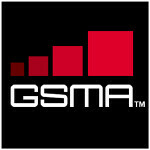 Already available in the Apple App Store and in the Google Play Store, the official GSMA app for Mobile World Congress 2013 is now ready for you to download from the Windows Phone Store. That is assuming, of course, that you are sporting a Windows Phone handset. The festivities begin this year on February 25th and run through the 28th. The features of the app are really designed for attendees, with schedules, event times, speaker rosters, exhibitor listing and venue maps. Still, things like social networking and the latest news from the event are designed for those not coming to the show. The app is a free download from the Windows Phone Store and while it says it is compatible with Windows Phone 7.5 and Windows Phone 8, it will also probably work on Windows 7.8 as well. If you want to download the app to your Windows Phone powered handset, you can mosey on down to the Windows Phone Store using your handset, or click on the link below.